It’s been a relatively quiet week at the ContractHireAndLeasing news desk, but manufacturers have still been keeping us on our toes with several new car reveals. We’ll kick off with what is potentially the most significant – Tesla’s Model 3. Yes, believe it or not, Elon Musk has actually managed to keep production for his “everyday” electric car on schedule. That said, out of the thousands of pre-orders that have been placed, only 30 American customers (amongst which Musk was one) were lucky enough to get their Model 3s this week at the car’s launch party. If its impressive range and performance stats are anything to go by, we reckon should see quite a few of them rolling silently down streets by the end of 2018. As the car that’s promising to democratise the EV market, it might just be the breakthrough that Tesla needs. A bit closer to home this week, Jaguar revealed its new E-Pace crossover. Slotting in between the larger F-Pace SUV and the company’s other models, it’s aimed squarely at taking on cars like the Audi Q3 and Mercedes GLC. Confusingly, the E-Pace isn’t actually electric as the name may suggest; that’s the job of the I-Pace which, while still in the concept stages, is due to hit the production line sometime next year. 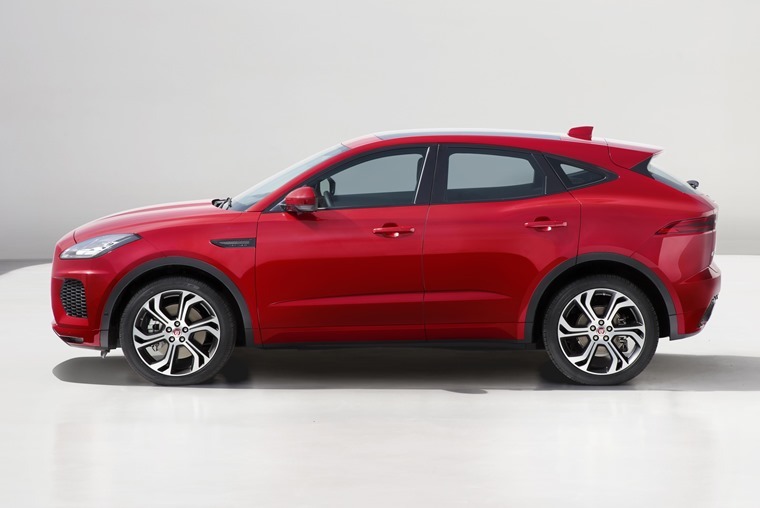 Jaguar says the E-Pace borrows looks from the F-Type sports car, with a similar headlight and bonnet design. Unlike the F-Type however, this is a Jaguar that will be available in front-wheel drive form as well as 4WD, and is sure to mix up the German-dominated market when order books open. While it may be designed with the school run rather than scary stunts, that didn’t stop Jaguar breaking a new world-record in the E-Pace’s launch video. 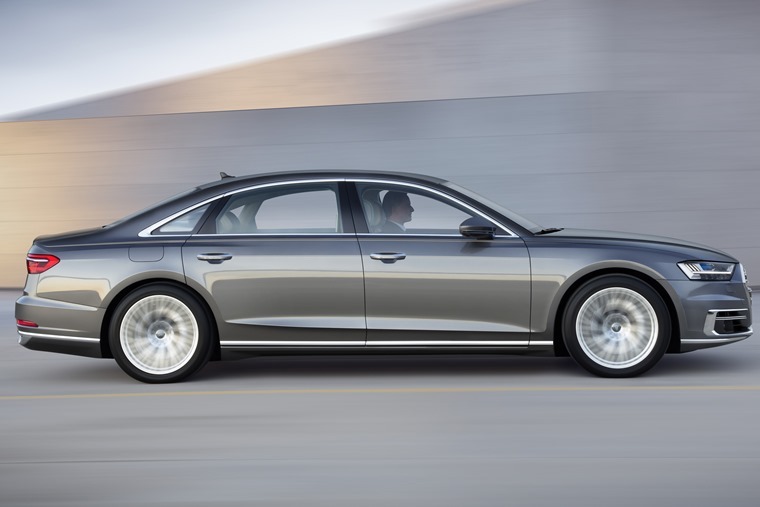 Talking of the Germans, after much speculation regarding its impressive tech offerings, Audi has finally unveiled its new flagship A8 saloon. 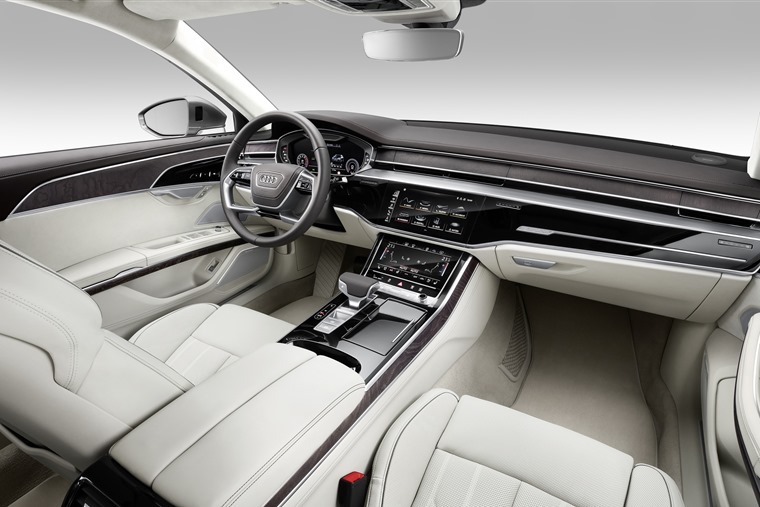 Like Mercedes’ S-Class and BMW’s 7 Series, the A8 is a car the company uses to showcase the very latest and greatest achievements of its engineering department. 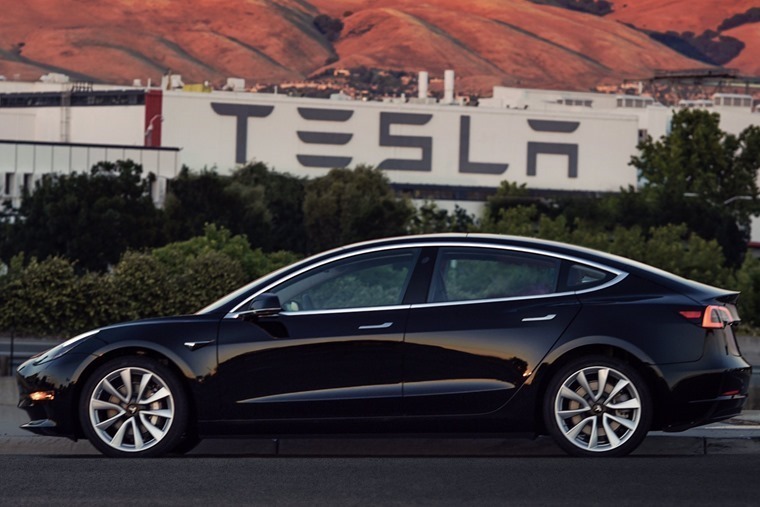 The new model is no exception because, while it looks rather subtle, it gets a semi-autonomous driving mode that’s aiming to beat Tesla’s AutoPilot at its own game, while all engines feature mild-hybrid technology to improve efficiency and refinement. We’ll have to wait until Frankfurt to find out further tech details and a full specification list, but it’s expected to hit the UK in the autumn and get a list price in the region of £70,000. The question is, would choose the new A8 over the upcoming S-Class? Ok, it’s not quite an S-Class, but Mercedes will be revealing its luxury X-Class pickup next week. With the tag-line ‘First of a new kind’, the X-Class will hit the UK market next year and combine the hallmark strengths of a pickup with Mercedes’ renowned premium feel. We recently considered whether pickups could be the next niche for the new car market, as more and more manufacturers turn them into more car-like machines rather than a beast of burden. It would appear we weren’t the only ones either; anticipating the popularity of the opulent X-Class, Ford Transit Direct re-imagined some premium cars in pickup form, but would you pick on up? 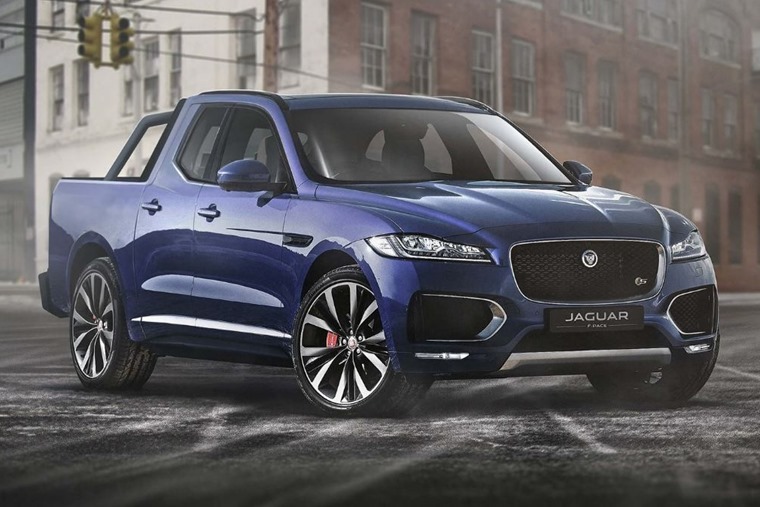 Click on the F-Pace pickup below to see more of their creations. 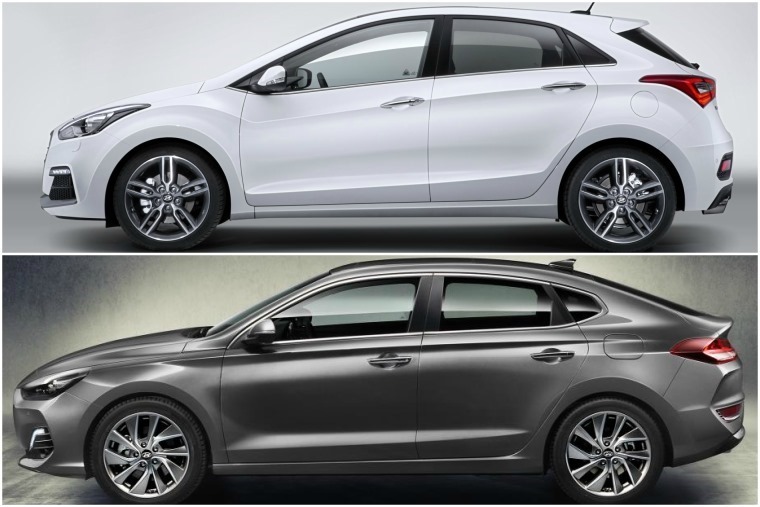 And now for something a little less luxurious, but rather nice all the same: the new Hyundai i30 range. We’ve known about the i30 N hot hatch for some time, and this week we learnt even more about it following a full reveal. 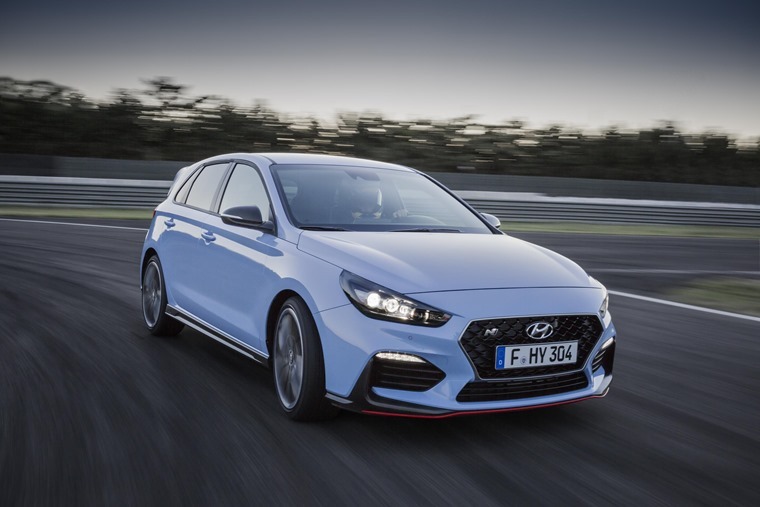 Hyundai says the i30 N has been developed from the ground up to deliver “maximum driving pleasure everyday”, as well as being a bit of a track weapon should the need ever arise. Only time will tell us if it can crack into a market dominated by big names like the Focus RS, Golf R and Civic Type R.
While the hot version of the i30 has been known about for sometime, Hyundai had another surprise in store this week, in the form of the Fastback. This sleek addition to the range gets a sloping roofline and a sportier set-up. It’s meant to bridge the gap between the more basic variants and the range-topping i30 N, and we think it looks great. 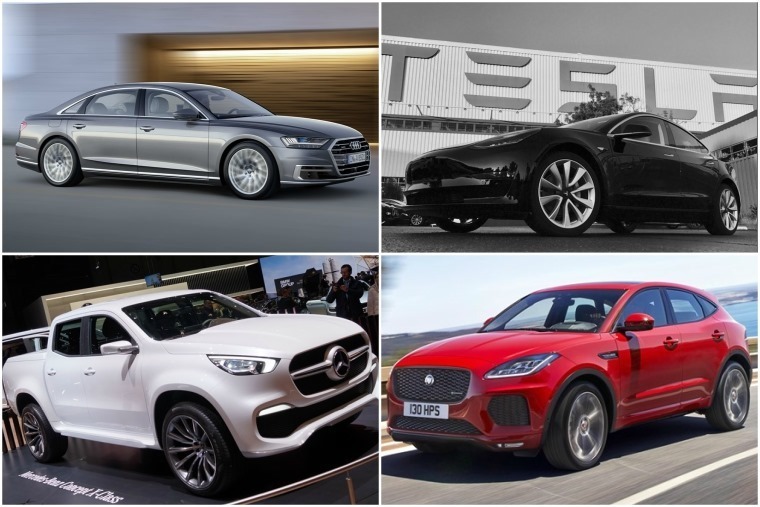 If none of these new models take your fancy however, don’t worry; we’ve put together a comprehensive guide of what’s hitting the market when and, with the likes of Alfa’s Stelvio and the glorious Range Rover Velar coming very soon, there’s a lot to look forward to.